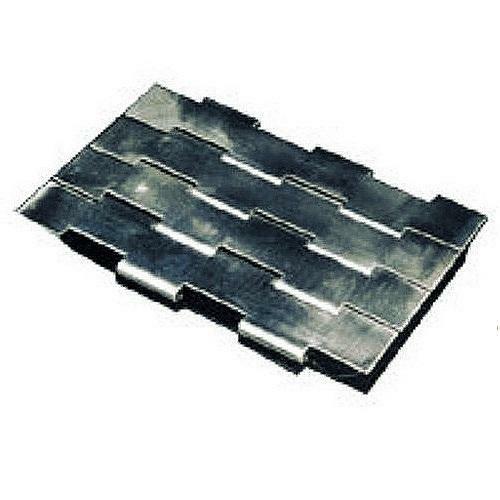 Draton chains are having wide range of roller chains from 3/8" to 4" pitch in single & multiple strands and conveyor chains from 3/4" p to 24" p in different breaking strengths manufactured out of EN series material, stainless steel material, malleable cast iron material and also in forged type. Draton small series chains are available from 1/2" pitch to 3"P in single and multiple strand and duly fitted with various types of standard and special type attachment to suit customer applications. 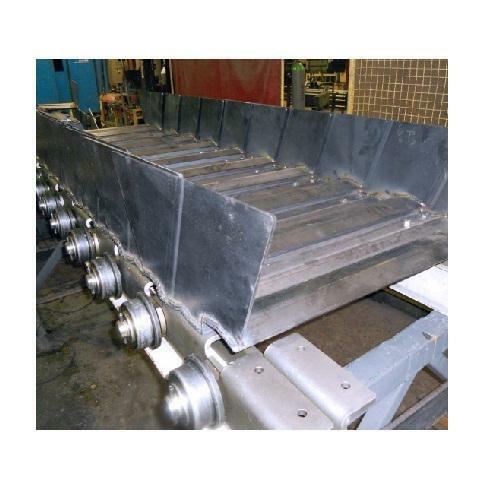 Draton redler chains are used for scraps and conveying application for conveying dry and free flowing and non abrasive material and the same are available in single and double strand. 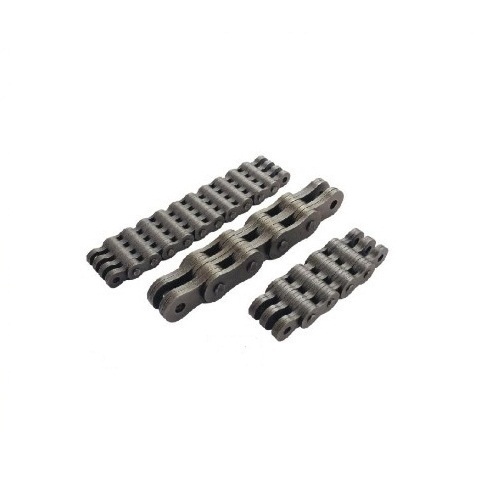 Draton slat bent chains are manufactured from 1"wide to 72"wide manufactured out of M.S. Galvanized, and stainless steel material in different gauges to suit to customer specifications we also manufacture this item in plastic. 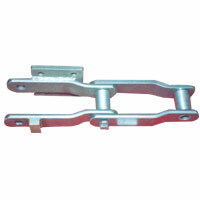 Used to lift goods in industrial applications, our leaf chains are available in different pitches. The pitches range from 3/8" pitch to 2" pitch in different width and lacing. 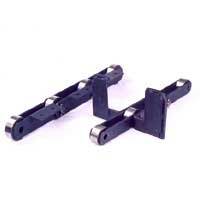 The specifications can also be customized as per the requirements of the customers. 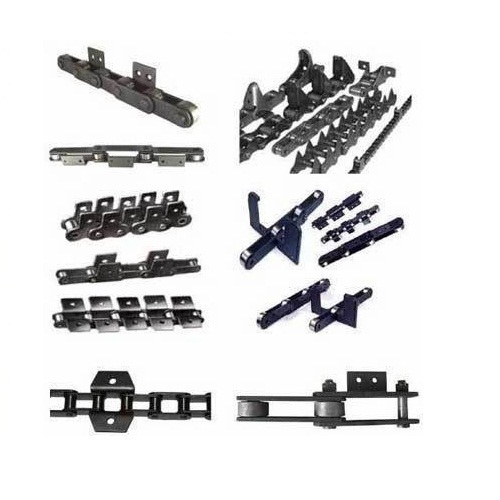 Draton PIV chains are available to suit English, German and other make PIV units in laminated type and roller type to suit suitable size PIV conical discs. 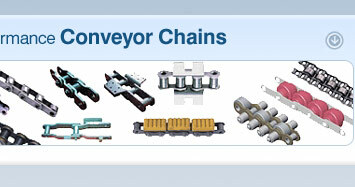 The Apron Conveyor is the load carrying member of the conveyor. Apron is fixed on two parallel rows of chains having K2 attachments. From of an apron is corrugated, so it can be used in horizontal as well as in inclined position. Aprons are lapping on each other, so that material like powder does not spill from aprons. 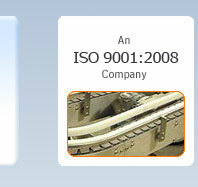 We are the leading manufacturer and exporter of Heavy Duty conveyor belts. 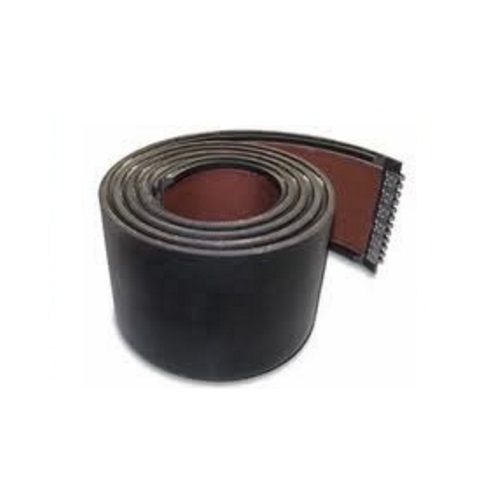 Further, this belts are ideal for operating in highly corrosive conditions like potash and urea handling plant. Our clients hold almost importance to us so we deliver flawless products to our clients, which are dully checked before handling to client. 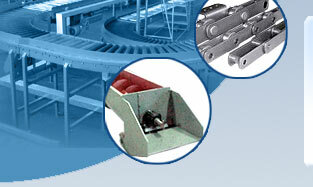 Moreover, our products are available at very lowest rate to our esteemed clients.